Just 33 days from the primary election and 20 days from early voting, the campaign mailers are beginning to hit the mailboxes of regular primary voters. Some contain the usual puffery and exaggeration of records. 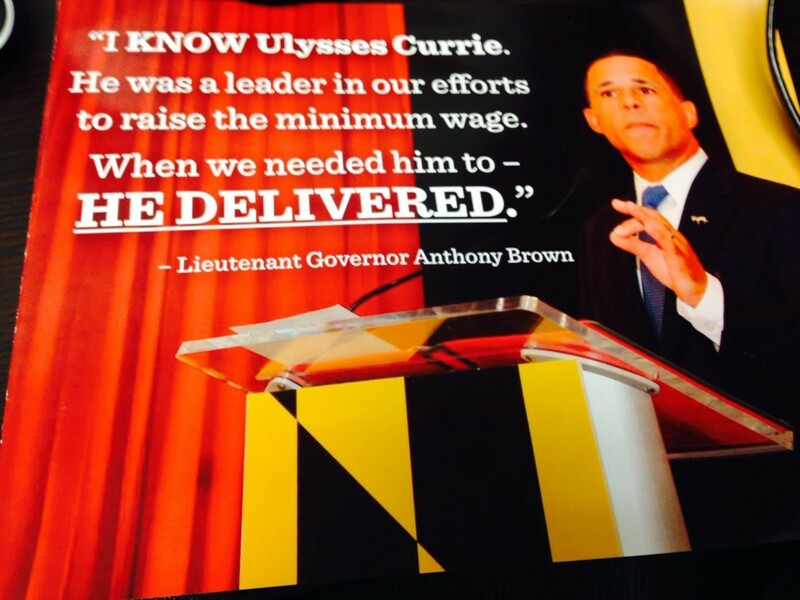 One on behalf of Sen. Ulysses Currie by Lt. Gov. Anthony Brown seems to stretch the legislative record like a rubber band. Currie, 76, is facing a serious challenge for reelection to a sixth term in the Democratic primary from Del. Melony Griffith. Brown, now running for governor. had represented the same District 25 of Prince George’s County in the House of Delegates before he was elected lieutenant governor. Currie had been censured by the Senate in 2012 for failing to disclose he took money as a consultant to help a supermarket with state agencies. These actions had led to a federal indictment and trial in which his attorneys used the “too dumb to be corrupt” defense to win an acquittal. As part of the censure, he was stripped of all leadership positions, including the chairmanship of the Budget and Taxation Committee. Only problem is that Currie had no leadership role in the passage of the minimum wage hike, other than voting for its final passage. It was an O’Malley administration bill, and Currie was one of 22 co-sponsors listed in alphabetical order on the Senate version. On top of that, it was the House bill, HB295, that actually was enacted with the heavy lifting done by the House Economic Matters Committee, and its chair, Del. Dereck Davis, who also represents District 25 and is running on a ticket with Currie. In the Senate, the bill was worked on by the Senate Finance Committee on which Currie does not serve. UPDATED 5/23, 9:15 a.m.: Currie was the lead sponsor on his own minimum wage bill, SB371, that was introduced five days after the administration bill.